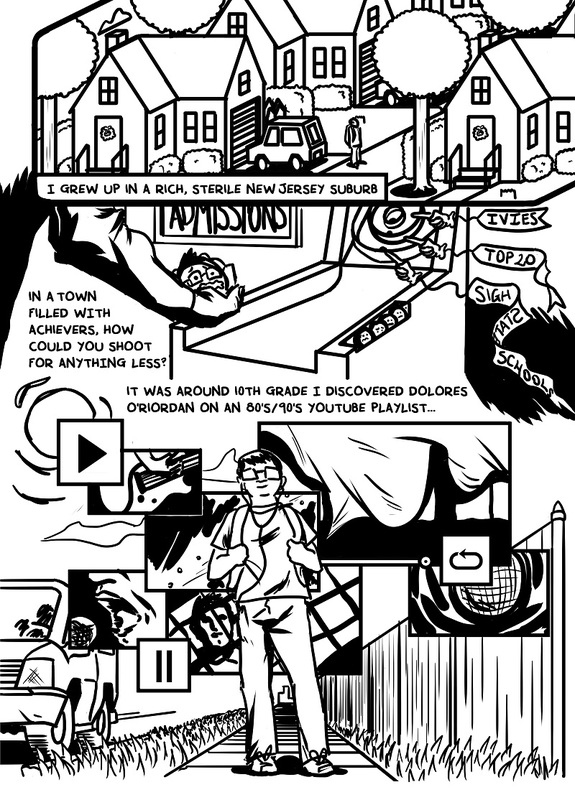 This comic was produced as 2-page submission to the Dead Singers Society Anthology. 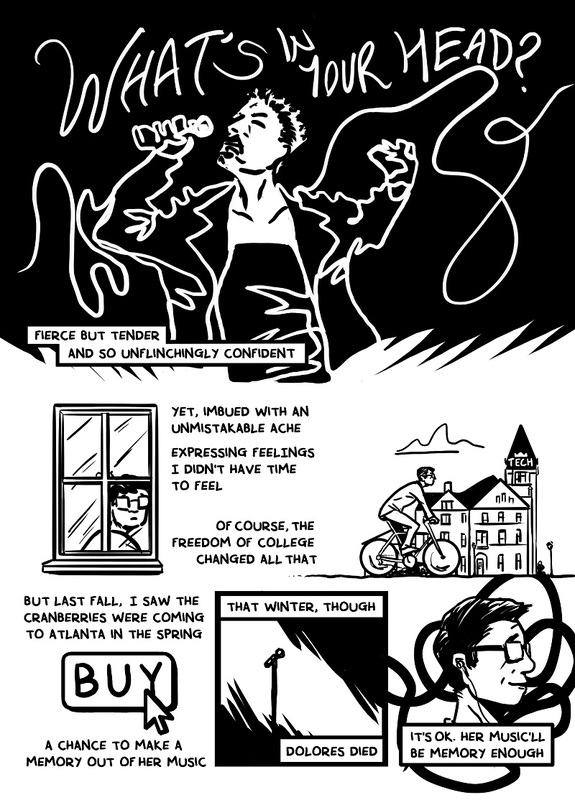 The anthology is structured around artists producing a 2-page piece related in some way to a dead singer. I chose to write mine about Dolores O'Riordan of the Cranberries.